Home / Finance / Is Insurance Protection Plan Compulsory for Availing Home Loans? 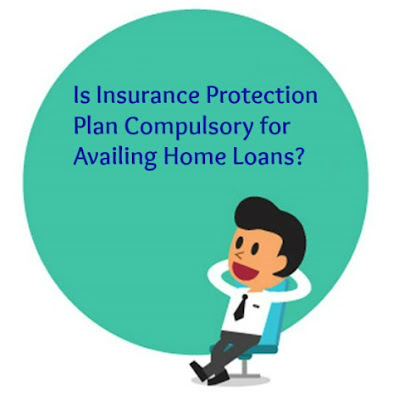 Is Insurance Protection Plan Compulsory for Availing Home Loans? A lot of people depend on home loans today to buy their property. Since, the interest rate is low, consumers get long tenure to repay and receive tax benefits, home loans become an ideal choice for many. Almost every bank today is offering home loans at competitive rate of interest. However, there is a caveat attached that borrower need to take an insurance or a home loan protection plan to avail the loan. But, is it mandatory and why is it even necessary to take home loan insurance? Why do you need an insurance cover for home loans? Home loan borrowers are often compelled by the banks to buy a protection plan in order to avail the loan. They even insist of being this as a mandatory condition and force them to pay extra in form of premiums. However, the question arises of why do you really need insurance? Banks are highly concerned about the money they are lending to the borrower. Since, home loans are usually big values, being concerned is obvious. By taking home loan insurance, the borrower is covering the risk of loss, in case he or she dies before the complete repayment of the loan. In the event of death, the insurance company is then responsible to settle the outstanding amount with the bank. However, by taking the insurance, the borrower needs to pay extra for premiums. Hence, it is necessary to understand whether or not, it is mandatory. Usually, the banks pitches the borrower about the home loan coverage as a mandatory part of the loan approval process and even borrowers don’t question about it because they are more concerned about getting the loan approved and disbursed. 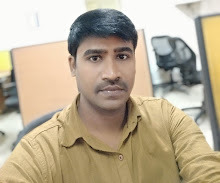 But as a loan consumer, it is important to know that according to the law and other regulatory bodies like RBI and IRDA, borrowers are not obligated to take home loan insurance. It is completely at the discretion of the borrower to take plan or not. Since, it would be added costs for the home loan applicant; they can refuse to take the insurance policy. Banks are not authorized to force the purchaser to buy the policy. If the borrower agrees to take one because it gives extra security, they can either take it from an insurance company or they can even take it from the same bank. ● The home loan insurance does not cover the home. It only covers the home loan. The consumer would still have to pay separately for home insurance. ● Like any other insurance policy, insurer needs to pay the premiums. ● There are four major factors that decide the premium amount namely - age, amount, tenure and current medical condition. In case the borrower decides to ditch the insurance cover, in all probabilities, the bank would refuse to disburse the loan. However, there are few steps that can be taken by the loan consumer if the bank forces to take the insurance. 1. Don’t let the bank take advantage of you being a consumer. You can straightforwardly tell them that you are aware of the rules and policies and there are no such guidelines by the RBI about insurance being a mandatory part of the approval process. 2. Avoid the desperation in front of the bank, even if you are. Banks take undue advantage of such situations. In fact, tell the bank that you are not desperate and you can wait for some time. Since, banks are also desperate to make sales, they usually come back stating they would waive off the condition. 3. In case if they still insist, you can ask the bank to show you a mandate from RBI to confirm it is necessary or take it in writing that “ it is mandatory to buy an insurance policy for home loan”. Also, tell them that they would take the written confirmation to the banks ombudsperson or even consumer court to file a complaint. 4. In case the bank refuses to do so, reject the offer and try it with other banks, but this time more smartly. Proactively tell the bank that you are aware about the policies and then go ahead with them. Final word – Should you consider taking a policy? There is nothing wrong in taking the policy. If your pocket allows, you should take the cover because it is an added advantage. But don’t take the policy blindly. Usually banks offer consumers to take the policy from them as they have commission for selling the plan. To make the offer more lucrative, the banks offer the consumer to add the premium amount to the loan. This way they don’t have to pay anything upfront and still get the insurance, just a lit pinch in the monthly installments. Don’t fall for it! Rather compare different companies, check for the plans and look which offer lowest premium with extra benefits.